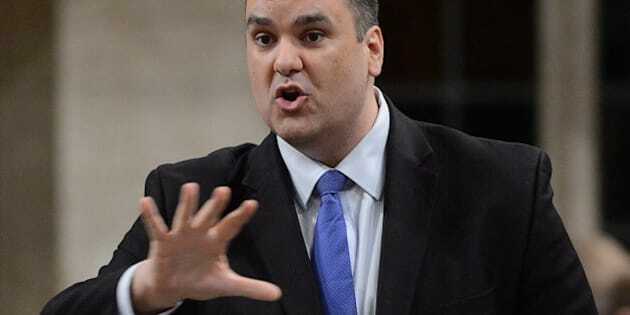 Industry Minister James Moore said Thursday that the government will reclaim some spectrum licences up for renewal next year if the telecom companies haven't deployed them. "Those that have not used the spectrum will lose it," Moore said in a statement. Telecom companies Bell and Rogers hold the bulk of the spectrum licences, auctioned as far back as 2004, for the 2300 megahertz and 3500 megahertz spectrum. They are held through their Inukshuk venture to provide wireless Internet to more than 100 rural communities, but it's not widely used. Telus and some smaller Internet providers also claim licences. Moore said the rights were issued to provide affordable high-speed Internet in rural areas. Yet, parts of Canada remain underserviced. "It's not even gutsy _ it's over long overdue," telecom analyst Eamon Hoey said of the government's decision. The federal government has sent the message there are other providers who want this spectrum and it's "going to harvest it, pronto," said Hoey, of Hoey Associates Management Consultants in Toronto. Some rural Internet providers say they have waited for years for the chance to bid on this spectrum _ radio waves that can be used to provide wireless Internet service. Chatham Internet Access in southwestern Ontario says it's struggling to provide enough bandwidth to its thousands of customers. "If we could get 20 per cent of that spectrum, we could literally double the speed for our customers," said general manager Wally Romansky. Xplornet Communications Inc., which provides Internet service to rural communities across Canada, said it also wants some of this spectrum. "The rural consumer is saying I need more speed...all of the things that every other consumer is saying," said C.J. Prudham, executive vice-president of Xplornet. Rogers, Bell and Telus wouldn't say how much of their spectrum is in use. Rogers spokeswoman Patricia Trott said it was working with Bell to provide a Long-Term Evolution (LTE) technology broadband wireless services in 2014. She said Rogers will meet Industry Canada's licensing requirements, but didn't give specifics. Bell spokesman Mark Langton said the telecom is confident that its Inukshuk venture will meet the government's licensing conditions, while Telus said it supports the requirement to build in rural areas that comes with spectrum licences. Moore said the licence renewal policy outlined is consistent with the Harper government's commitment to ensure consumers will have more choice, lower prices and better wireless service. The TV industry also got some direction from the government on Thursday. Canadian Heritage Minister Shelly Glover said she has asked the federal broadcast regulator to prepare a report on so-called pick-and-pay television services, making it clear that her government will pursue changes to stop cable and satellite providers from "bundling" television channels into all-or-nothing packages.